SCOTLAND: The Big Picture is committed to collaborating with a wide range of interest groups and businesses to bring clarity and consistency to the rewilding narrative. We are proud to have the support of the organisations below who all help in different ways to make our work possible. If you’d like to join our supporters community, get in touch. Nature Picture Library, one of the world's leading providers of still and video imagery, is the image partner for SCOTLAND: The Big Picture. Inspired by the work, spirit and legacy of John Muir, the John Muir Trust works to protect wild places wherever they may be, and the diversity of life they support. Trees for Life is a Scottish charity working to restore the Caledonian Pine Forest and the species on which the forest depends. The first nationwide conservation plan to save Scottish wildcats. Rewilding Britain is a charity committed to the mass restoration of ecosystems in Britain, on land and at sea. We’re proud to support SCOTLAND: The Big Picture. ILCP exists to further environmental and cultural conservation through photography. Fotospeed utilises its wealth of expertise to produce a comprehensive range of award winning digital inkjet papers, inks and accessories. We’re proud to support SCOTLAND:The Big Picture. Alladale Wilderness Reserve lies at the heart of the Scottish Highlands and combines practical rewilding with sustainable nature-based tourism. The Community of Arran Seabed Trust is a community group striving to improve the marine environment around Arran and the Firth of Clyde. We were the driving force behind Scotland’s first Community Marine Reserve in Lamlash Bay. Bushnell supplies high-performance sports optics and remote cameras. We are delighted to support SCOTLAND: The Big Picture by supplying trail cameras to assist their fieldwork. Nature Needs Half is a science-based and common-sense vision of a relationship between people and nature that ensures enough natural areas of land and water are protected. Maptia is an online storytelling channel promoting environmental, humanitarian and adventure photojournalism. We are proud to support the SCOTLAND: The Big Picture dedicated channel. Green Scotland online community connects the people of Scotland with the businesses, charities, groups and individuals that can provide them with the required information, services and supplies for green living. Rewilding Europe is working to make Europe a wilder place with more space for wildlife, wilderness and natural processes; bringing back the variety of life for us all to enjoy and exploring new ways for people to earn a fair living from the wild. Wilderness Scotland is an award-winning adventure travel company that has been at the cutting edge of sustainable nature-based tourism in Scotland for over 15 years. Speyside Wildlife are one of Scotland's leading wildlife watching holiday specialists. With 25 years experience and an expert team of guides, their holidays range from North Scotland to Nova Scotia. Nature Scotland provides educational wildlife tours and photography workshops on the Isle of Mull and Ardnamurchan. Excursions are ethically sustainable with a strong emphasis on conservation. By the Ocean we Unite is a young and dynamic Dutch foundation which, in a positive way, works on the prevention of plastics from ending up in our oceans. 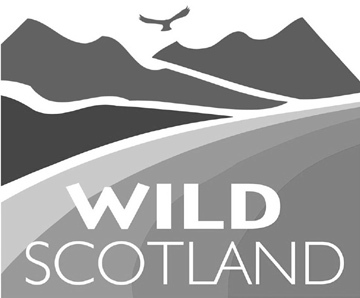 Rewild Scotland is an online community and information hub supporting Rewilding, Reintroductions, Habitat Restoration, Nature Tourism and Biodiversity in Scotland. 5.11 Tactical creates superior outdoor clothing built on a foundation of durability, quality and value. We are proud to supply The Big Picture's photographers with all their clothing needs. Reforesting Scotland explores all aspects of restoring and reconnecting the people and ecology of Scotland. Camtraptions supply specialist camera trap equipment to the SCOTLAND: The Big Picture photographers. Whale and Dolphin Conservation work for a world where every Whale and Dolphin is Safe and Free. Wildwood Trust’s mission is to share animal expertise for rewilding projects and inspire in the minds of people the wildlife that was once harboured in our wild woods and wild places and give them the ability to play a role in its protection & restoration. Roy Dennis Wildlife Foundation is a non-membership charitable trust dedicated to wildlife conservation and research, with a special emphasis on species recovery projects and the restoration of natural ecosystems. Our work encompasses biodiversity management, wildlife conservation, responsible energy developments, marine eco-tourism and guidance for the public and commercial marine sector. The WiSe scheme is the UK's national training and accreditation programme for marine ecotourism operators, working to improve standards and reduce disturbance to our precious marine life. The Scottish Wild Beaver Group works to facilitate the harmonious co-existence of beavers and humans across Scotland through educational engagement with local communities. We are a small organisation with a big passion. We believe in the importance of providing our environment with more trees and ensuring our existing trees and woodlands are well cared for. HWDT works directly with local communities to ensure whales, dolphins and porpoises are protected and valued throughout Scotland’s west coast. Borders Forest Trust is Reviving the Wild Heart of Southern Scotland to support native habitats, people and communities to flourish in the southern uplands. Wild Intrigue provides wildlife expeditions to inspire, educate and rewild. Expeditioneers gain practical training in wildlife surveying and media skills, whilst exploring and conserving beautiful, wild locations. Walkhighlands aims to inspire people to get out on foot and explore Scotland's spectacular landscapes, and through doing so help to grow a sustainable visitor economy. The Woodland Trust is the UK's largest woodland conservation charity. We protect and campaign on behalf of woods, plant trees, and restore ancient woodland for the benefit of wildlife and people. The Nevis Partnership aspires to safeguard, manage and where appropriate enhance the environmental qualities and opportunities for visitor enjoyment and appreciation of the Nevis area. We are committed to action and investment in the area. The Nevis Partnership is the host organisation for the Nevis Landscape Partnership Programme, a culmnination of over 10 years collaborative work in the area. We want to help spread the wealth and help our coastal communities prosper by making sure that the value of a healthy sea flows to the many, rather than further concentrating wealth in the nets of a few. Scottish Badgers brings together individuals and groups from across Scotland to promote the study, conservation and protection of Scotland’s badgers, their setts and natural habitats. Highland Perthshire Communities Land Trust was established to restore the biodiversity of 445 hectares of overgrazed land, mainly heather moorland, to the east of Schiehallion. Northern Flyway is a large-scale, ambitious musical and visual production devised by Jenny Sturgeon and Inge Thomson. Memorable canoe journeys along the River Spey amidst stunning Highland scenery. On our farm just north of Stirling, we run Central Scotland's only red kite feeding station where visitors can watch these exciting birds and their spectacular flying. Aigas Field Centre is dedicated to environmental education and conservation. As well as offering group learning holidays and seeing over 5000 children each year, the centre is at the forefront of nature conservation in the Scottish Highlands. Lochaber Natural History Society is a small and friendly club, with an emphasis on enjoying all branches of natural history within the Lochaber area. Project Seagrass is an environmental charity devoted to the conservation of seagrass ecosystems through education, influence, research and action. Project Seagrass was created with the approach of turning cutting-edge research into effective conservation action and education schemes. Highland Boundary produces wild Scottish spirit flavoured with botanicals hand-picked from Scottish woodlands. Climate Action North is a community interest company delivering practical “action based” solutions to businesses, communities and schools to reduce their impact on the environment, mitigate the effects of climate change and make a positive difference. Al Whitworth started with making driftwood furniture while living in Shetland. Today from his croft in the north Highlands, he produces a wide range of products which wherever possible, use re-used and re-purposed wood.